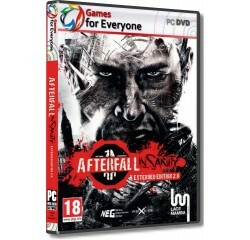 Afterfall Insanity - Extended Edition - R120,00 : Game Hunt, Where we lead, others follow. Play the game, overcome your fears, save the residents of the Shelter and try to find a new safe harbor... but is anything safe after the Fall? Detailed and extensive evironments set in post-apocalyptic versions of real-world locations. Expansive levels with giant cities, tunnels, bunkers and deep mines. An exciting and rich story with unexpected twists and turns. Extensive weapons arsenal with myriad types of opponents. State-of-art effects using the newest Unreal Engine 3. System - 2.0 GHz Core 2 Duo® or equivalent AMD® processor.